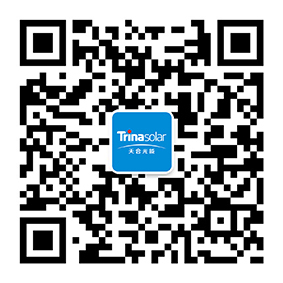 Trina Solar’s DUOMAX 72-cell Modules offer a revolutionary frameless, dual-glass design for rooftop and ground-mount solar installations. With lower degradation rates and higher annual and lifetime energy production that is ~25 percent higher than traditional framed modules, the DUOMAX’s enhanced performance leads to greater and quicker energy savings. Combined with its industry-leading 30-year linear power warranty, Trina’s DUOMAX lets you recoup your ROI faster than standard solar panels. Moving from 1,000 Vdc to 1,500 Vdc increases the energy produced for the same land area and string lengths by up to 50%, reducing the number of source circuits, combiner boxes, and home-run wires by up to 33%. Because of the lower costs for balance of system as well as the operations and maintenance needed over the panel’s lifetime, DUOMAX is a smarter investment. The module’s split junction box allows reduction in the cable lengths, while the higher voltage lowers the overall energy losses from the system. The heat-strengthened dual-glass design of the DUOMAX 72-cell ensures high performance and power yields even in harsh environments with intense humidity and irradiance levels. The unique module construction provides greater protection against PID and fire resistance. DUOMAX is built to withstand harsh elements and is less susceptible to micro-cracking, module warping, UV aging and corrosion from sand, acid, alkali and salt mist. As the DUOMAX does not have a frame and requires a less extensive BOS, it uses fewer manufactured parts than traditional modules, which lowers the overall carbon footprint of the DUOMAX. This makes DUOMAX panels easier and cheaper to recycle.